Kevin Curry inspires millions of men and women to eat healthy and stay fit with FitMenCook, his popular website, app, and YouTube channel. The FitMenCook app was named an “App Store Best of 2015” and today remains one of the Top 3 Food & Drink apps in the US and UK. 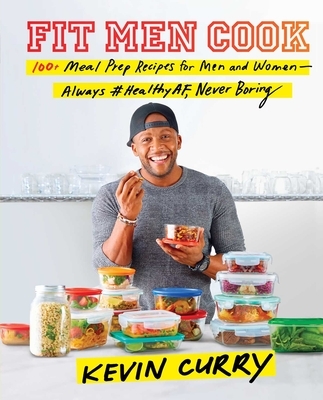 Curry is also a contributor for several syndicates including the Today show, Live with Kelly and Ryan, Men’s Health, Bodybuilding.com, and Train magazine. He holds a master’s degree from Harvard and has brand partnerships with the American Heart Association, Kohl’s, Kroger, Reebok, Vitamix, and Nordic Track. He is the author of Fit Men Cook.